The worst place for a mold epidemic is in a hospital. Especially black mold. Black mold is thought to be more toxic than many other forms of mold. Many patients are already susceptible to airborne pathogens, and this includes the spores and mycotoxins that mold produces. Hospitals need to be sanitary, and mold is anything but sanitary. While mold is not an issue most people need to worry about when it comes to their health, hospitals are loaded with people with weakened or damaged immune systems, and for these patients, mold can most definitely be dangerous, if not deadly. Hospitals that avoid taking care of a mold problem can open themselves up to costly litigation should a patient get sick or even die due to complications from mold exposure. If black mold gets out of hand in a hospital, and the hospital board of waits to long to seek a professional remediators help, it could mean further issues. For example patients may need to be moved from the affected floors. The sooner a hospital acts on containing and removing mold, the easier it is for the hospital in question to manage, not to mention it ensures the hospital is keeping the environment safe and sanitary for its paying patients. 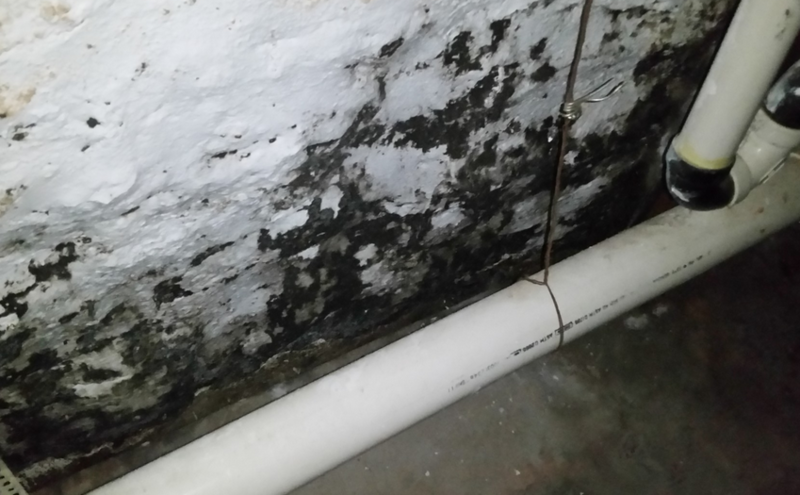 It is not just patients health that needs to be considered when deciding to pursue black mold remediation and cleanup or not. There is also the matter of appearances, and yes word of mouth and patient reviews. It does not take much for a hospitals reputation to go downhill, and fast, if the hospital looks dirty or unsanitary. There is also the matter of county codes of health to contend with. The sooner you deal with your black mold issue via mold remediation and cleanup from an IICRC certified mold abatement expert, the better. Mold Cleanup and Abatement Inc can handle your hospitals mold problem, no matter how large the mold colony or colonies are. We have worked on several hospitals in the continental U.S. and have always exceeded our clients expectations, both with price and with the quality of our work. We strive to do every mold remediation project with as little disruption to the hospital as possible. We have over 20 years of experience dealing with mold remediation and black mold removal, including hospitals and government installations. If your hospital has black mold, do not delay, call the pros at Mold Removal Now today! We can rehab your hospitals effected areas quickly, yet thoroughly, applying cost control measures to keep the costs as low as possible. We also offer black mold testing and IAQ tests (indoor air quality). We can fully contain any mold, and remove any mold that is present. In the case of certain building materials, such as drywall that are mold infested, we may need to replace these materials, using environmentally sound methods. We handle not only the mold removal, but also the disposal of any contaminated building materials. If you have or suspect you have mold in your hospital, call us today for a consultation. This entry was posted in Uncategorized on February 16, 2016 by .